Military Salute Weekend at Wildcat Mountain in Pinkham Notch. 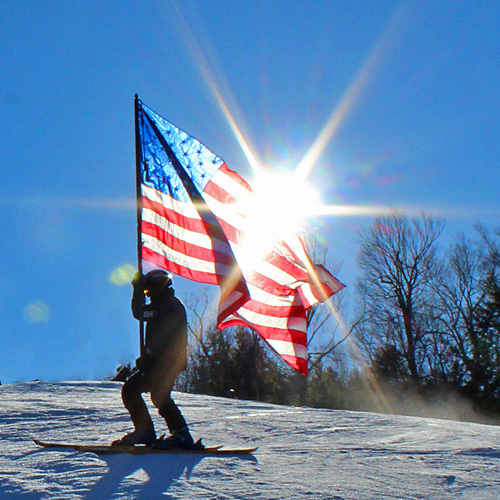 Free lift tickets for active and veteran service men and women. Discounted tickets for all-$45. Valid ID required Saturday, March 9 and Sunday, March 10, 8:30 a.m. to 4 p.m.
Go North Snofest, formerly Snodeo, is reinventing itself this year. The “try before you buy” snowmobile and family fun activities event takes place on March 1 and 2 from 9 a.m. to 3 p.m.
“Snodeo was the original name for the fest. It had been running for about 30 years, but it seemed to be winding down-maybe burnt out. In its day, Snodeo was written up in the snowmobile magazines and was the number one event in the winter,” said Gail Hanson, volunteer coordinator of GoNorth Snofest and board member of the North Country Chamber of Commerce. 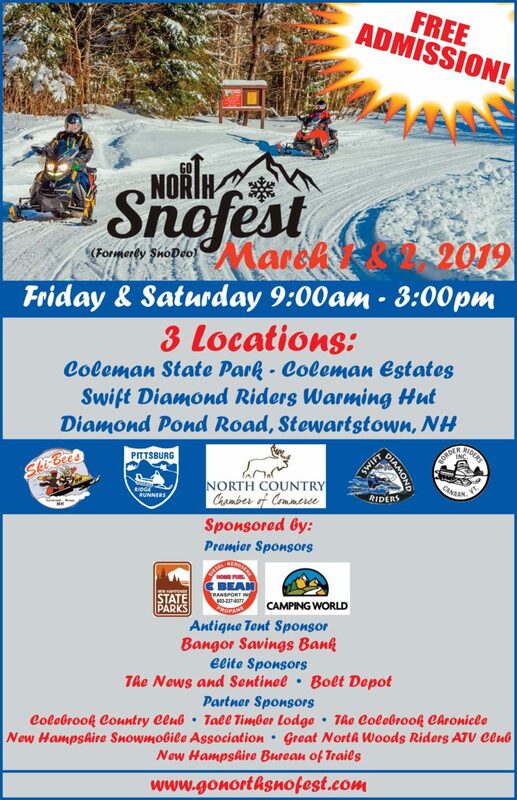 Swift Diamond Riders had been the host of Snodeo, and when the chamber decided to take over this year, to change the name and some of the venue, Swift Diamond stayed on board, along with Canaan Border Riders, Pittsburg Ridge Riders and the Colebrook Ski-Bee’s. “We changed the name and are looking forward,” said Hanson. 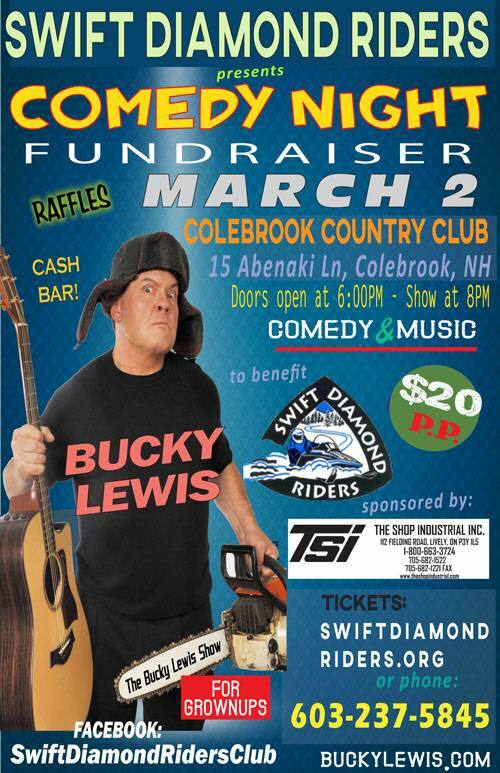 “There are three locations, the Swift Diamond Riders’ Club House, Colebrook Estates, and Colebrook Campground. At the club house, we are working with the NH Bureau of Trails and Swift Diamond Riders to host a groomer rodeo,” she said, adding groomers bring their equipment for the public to see and also for the clubs to see what’s available in grooming. Three manufacturers will be displaying their wares, Polaris, Ski Doo and Jericho Outdoors, along with food vendors, clothing vendors, the sheriff, fire department, NH Fish and Game, the 45th Parallel, Ride 603 and the Metallak ATV Club. Human powered sports will be represented, too. “There is snow tubing, ice-skating, snowshoeing, non-motorized trails, games and a survival course,” added Hanson. New, this year, are electric fat tire bikes. “LL Cote is selling the bikes and will be displaying bikes at SnoFest. 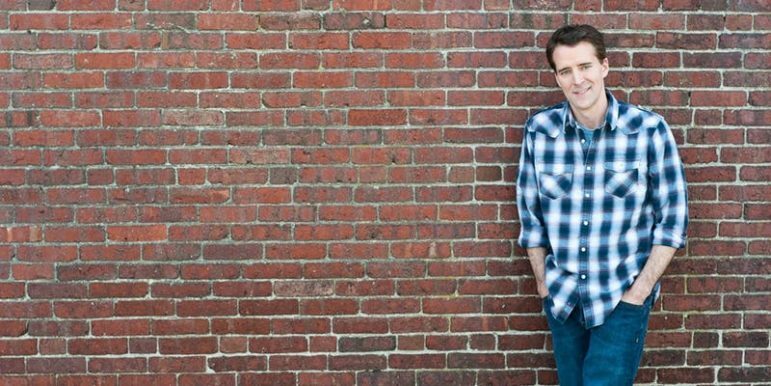 The electric bikes are up and coming for the generation past 30 years old,” said Hanson. You can find the bikes in the archery department at LL Cote’s. “We have been selling the bikes for a few years. They are used a lot by hunters. The bikes allow hunters to move in and out quietly, they are not as wide as four wheelers and are powerful,” said Alicia from the archery department, adding they range in price from $2,499-$3,999. The bikes are also good in snow and in sand by the seashore. GoNorth Snofest is free to the public. Demo rides are available for $10 per day. “How many people show up, depends on the weather. What ever is going on with the weather, wind, rain, snow, SnoFest goes on,” said Hanson, spoken like a true New Englander. 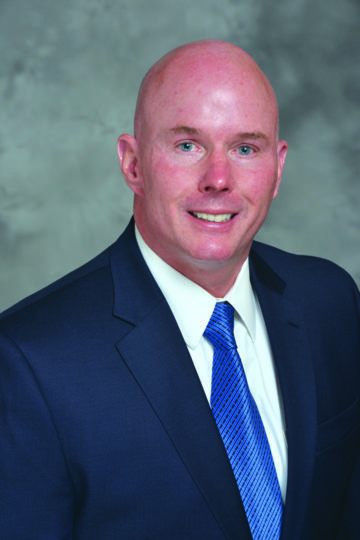 The Board of Trustees named Thomas Mee, RN, BSN, MBA as North Country Healthcare’s new CEO. Mee will begin his term on March 4. Mee served as president and CEO of McLaren Greater Lansing in Flint, MI. He earned the award of Healthcare Leader of the year in 2017 by the Michigan Hospital Association. Before joining McLaren in 2008, Mee served as the vice- president of physician services at William Beaumont Hospital in Royal Oaks, MI and was an adjunct instructor at Michigan State University and Oakland University. 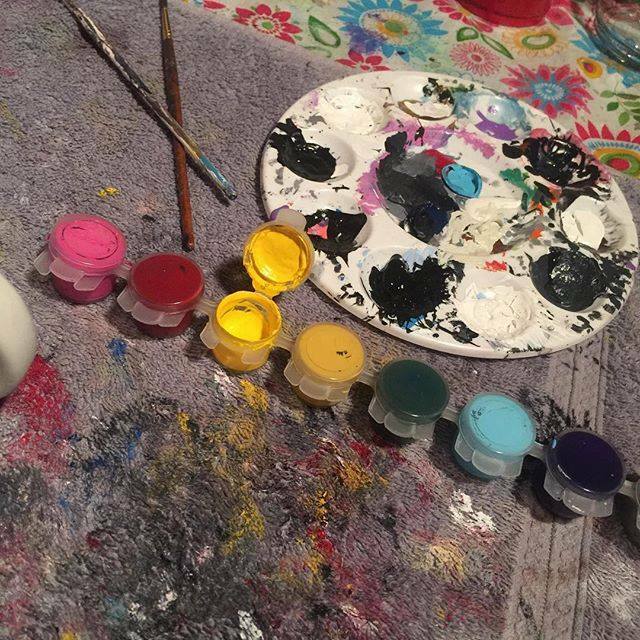 Mee has been married to Karen for 31 years, has a 27 year-old daughter, Samantha, a 24 year-old son Stephen and a two year-old grandson, Hayden. Mee said he looks forward to joining the team and carrying out NCH’s mission. HB 683–relative to the rights of property owners abutting certain highways and railtrails. Bretton Woods Nordic Center at 603-278-3322 for more information. Race Registration: 7:30 – 9 a.m.
March 2, doors open at 6 p.m., show starts at 8 p.m.
Sunday March 3, 2- 4 p.m. The course averages a 12 percent grade over the last 6K. This freestyle event is not for the inexperienced skier, snowshoer or fat biker. Wildcat Mountain, Pinkham Notch, Free lift tickets for active and veteran service men and women. Saturday, March 9 and Sunday, March 10, 8:30 a.m. to 4 p.m.